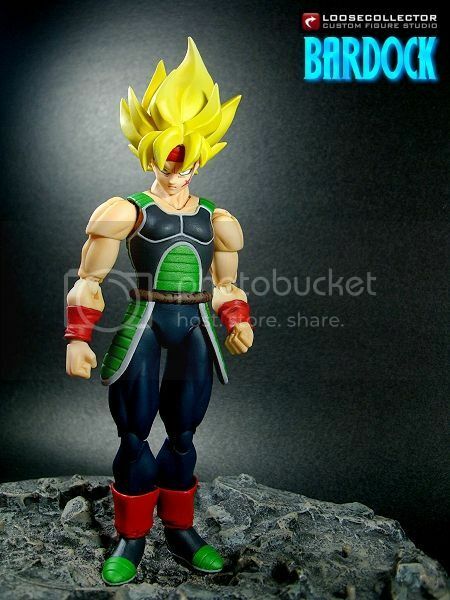 Find a custom figure you want to show your friends on DBF? Share a link or picture here. Here's an End of Z Goku Custom by eBay user mogszeee. 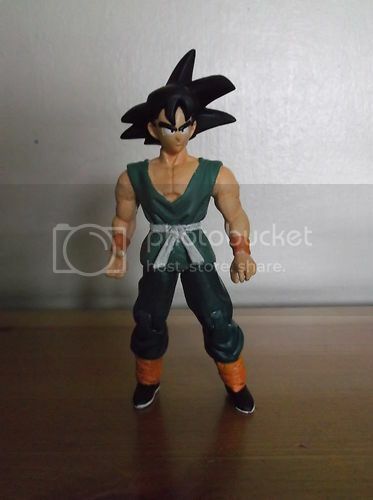 A bit strange considering the End of Z Goku made by Jakks but it seems well made and looks interesting. I like it better than the jakks one. I hate the jakks one because of BD. Looks like a really good repaint! Inaccuracies aside loosecollector did some great work on that...I'm a big fan of his customs. 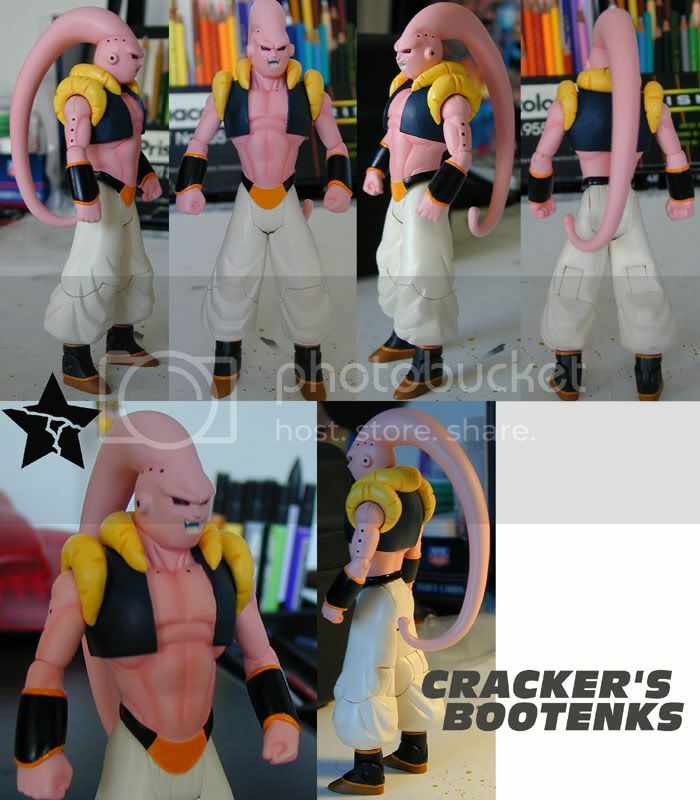 Here's a Buutenks custom made by cracker...most will remember him as the guy who painted a few prototypes for Jakks (hope he finds his way here). Gonstead may like this. Why Jakks never made a proper Buutenks, I'll never know. That Bardock and Buutenks both look slick, rick. if somebody could contact by pm some of the less frequent members of dbt I would appreciate it. cracker, elot, cmakhk, juanpe, sycho, and more may require a pm. Can I get a volunteer? That Gotenks Buu is simply amazing, though he forgot the M.
Gohan Could you do it? ops my mind read email, yet I still wrote pm. Da faq? Alright will do! Anything specific you want me to say or is something like.... Hey we moved over to a new site which is much more organized/clean/protected, run by ol caps and bran, and would like for you to come over. *insert link* if you don't mind telling me why? Bran would want to know. Well I sent all the ones named a message, and fdf aswell. So if you have any others, mind telling me their names aswell? Also is it necessary to keep posting over there about joining. I'm pretty sure people can check the others, plus its a bit like beating a dead horse? I don't really have anything specific in mind. Just whatever you want to say and include the link. I can't think of anybody else in particular, but I'm not thinking too hard either. Maybe Carnage6? I don't think he's joined here yet. Obvious Mike and Minigt haven't despite them being welcome to. I guess this just proves how inattentive they actually were to the place . Then again, it's only been 4 days, though it feels like 4 months to me. We probably don't need to beat the dead horse anymore over there. Alrighty, well it doesn't really matter since I just wrote w/e already. 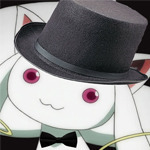 Also as I said before anyone else you have in mind that I should send them a message?